Your perceptions filter your relationship to the world around you. If you turn your attention to the natural environment, you’ll realize that the only thing constant in nature is change. Indeed, the only thing constant in nature is change. Rocks erode, the tide comes in and the tide goes out, the atmosphere moves around us constantly, the earth revolves around the sun and the seasons change. The universe is nothing but change, activity, and process. The realization of impermanence is—paradoxically—the only thing that we can hold onto. 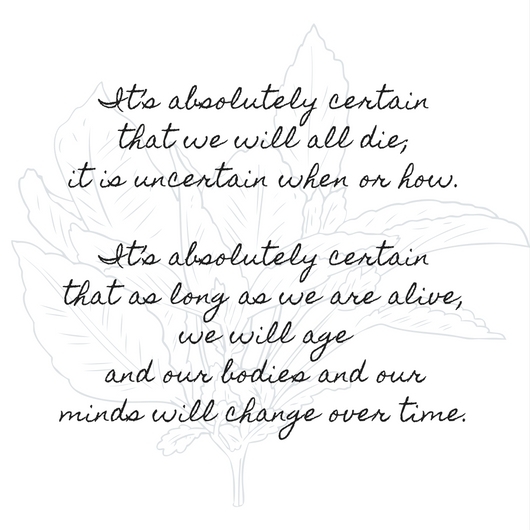 Change—impermanence—is inevitable. Yet many times we’re surprised when people change. (“You’re not the woman I married!”) Many times we’re surprised when there’s an accident or trauma, because it was unexpected. As humans, we each believe in our personal, unique, and separate identity—our ego self. We have a perception of who we are and how we believe those around us perceive us. But if we dare to examine it we find that this ego identity depends entirely on an endless collection of things to prop it up: our name, our biography, our partners, family, home, job… and it is on their fragile and transient support that we rely for our security. When these are all taken away, do have any idea of who we really are? Without our familiar props, were faced with just ourselves. That self can be an unnerving stranger with whom we been living but never really wanted to meet. Ego plays brilliantly on our fundamental fear of losing control and of the unknown. Ego makes us scared and feel unworthy. Ego can cause us to cave in to sad self-hatred and can cause us to feel despair. When we identify the whole of our being with ego, we realize that ego is at the root of all of our suffering. At any moment in time, our task is be aware—to perceive—how we respond to what’s happening. Perception colors situations and our response to what’s happening. When we perceive our self-talk and ego heading in a negative direction, we can mindfully decide to redirect. What is our life but this dance of transient forms? What about us doesn’t change? The friends we grow up with, our childhood homes, our relationships with family members, the cells of our body… they all change. 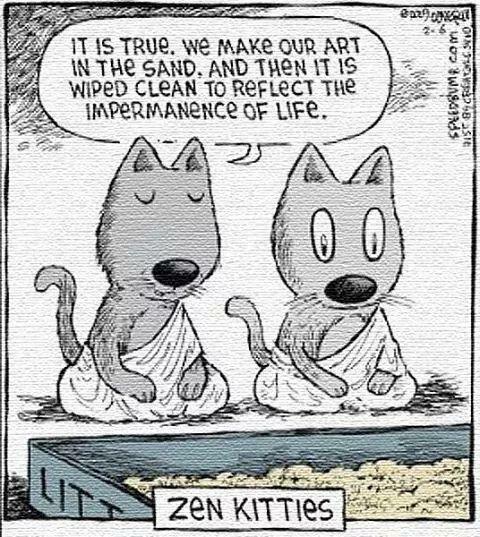 All things change and all things are impermanent. The nature of everything is illusory and ephemeral. If we really examine every aspect of life, we discover how we go through again and again in sleep and dream and thoughts and emotion process. Though these concepts are often associated with the death of a loved one, they are easily applied to other facets of life such as the loss of a relationship or the loss of health. 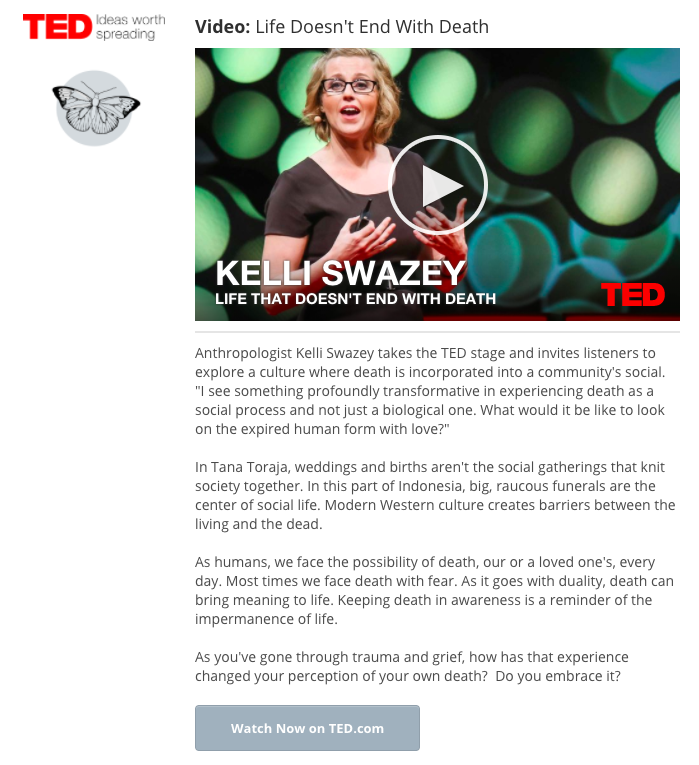 TED Talks provide fresh and personal (yet very relatable) perspectives on grief-to-purpose themes that we explore. You will definitely learn something! 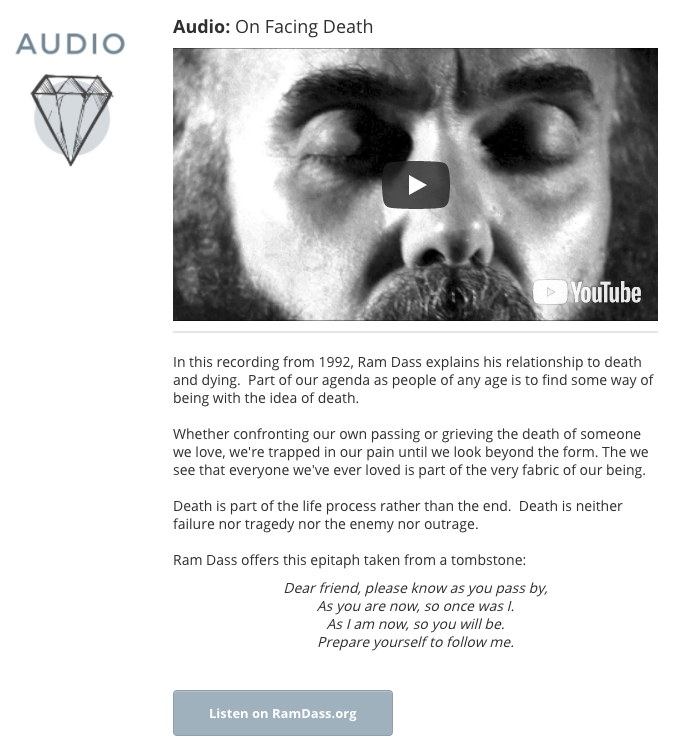 Our audio selection ranges from original podcasts to lectures by shamans and spiritual teachers, to more contemporary radio shows. There is something for everyone.